An illustration of the upcoming Ras Abu Aboud Stadium taken from the SC website. 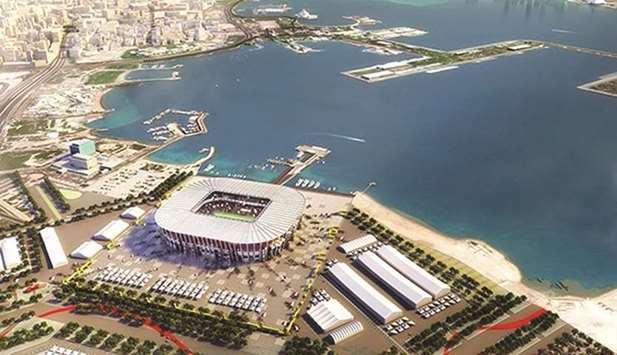 The 2022 FIFA World Cup in Qatar will be a unique and historic one in many ways and will set examples in several areas, including the donation of stadium seats. “Qatar will donate 170,000 seats to countries in need of sporting infrastructure after the 2022 FIFA World Cup, in co-ordination with FIFA. The Ras Abu Aboud Stadium, the first ever fully demountable World Cup stadium, will have 40,000 seats,” the Supreme Committee for Delivery & Legacy (SC) has said in its factsheet. “Many of the 2022 FIFA World Cup Qatar stadiums will have demountable seats, which will be removed and donated to countries in need of sporting infrastructure after the tournament has concluded. Ras Abu Aboud Stadium will be removed entirely after 2022 and repurposed into a variety of smaller sports and cultural venues,” the SC has noted. There would also be three-five fan festival venues for the World Cup, SC assistant secretary-general for tournament affairs Nasser al-Khater said recently on the sidelines of an event held to launch volunteer registration for the tournament. Mead al-Emadi, community engagement manager at the SC, highlighted that the volunteers would convey the beauty of Arab culture and hospitality to visitors during the World Cup. The 2022 tournament, the first World Cup ever to take place in the Arab world, is scheduled to kick off on November 21 and continue until December 18. There will be eight host venues for the tournament and seven of them are under construction, while the Khalifa International Stadium is already complete. Construction is under way on the other seven and main contractor works are set to be completed on two in 2018. Main contractor works will be completed on all eight by 2020. 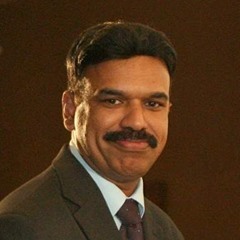 According to the SC, one of the unique features of the tournament is its compact nature as all proposed venues are within a 55km radius. It will take a maximum of one hour to travel between stadiums and enable fans to watch more than one live match on a single day. This will also benefit players, who will not have to spend as much time on travel compared to previous tournaments, and have maximum rest and training sessions. The SC also highlights that it will be a family-friendly tournament that reflects the region’s warm, welcoming and hospitable nature, offering something for all. Travelling fans will have a variety of accommodation options that suit every budget, including three- to five-star hotel rooms, desert camps, cruise ships and more.